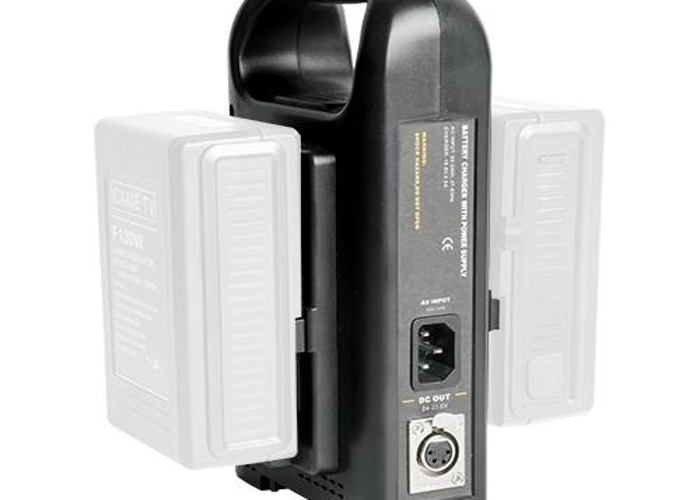 Sony V-Lock Battery Charger This portable, dual sequential charger is available for Sony V-Lock or 3-Stud mount batteries. 4 pin XLR jack outputs DC 13.8V 3.6A. Lightweight and compact, this charger is ideal for transport. Will charge VariZoom Ni-MH and Li-Ion batteries, as well as some other brands.